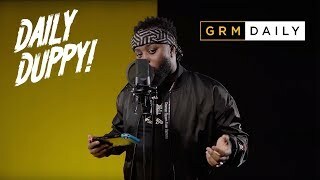 Tottenham rappers Headie One and RV drops visuals for Match Day. It’s exciting to see Headie One and RV back making music together since they have released quality joint mixtapes such as Sticks And Stones, and Drillers X Trappers. In this track, Headie One and RV complement each others trademark styles with an array of hard-hitting lyrics and football references. Directed by Myles Suave, the Match Day video captures the clean and fresh visuals of RV and Headie One mimicking the pundits of Match of the Day, and the two football teams. Drillers x Trappers II is out now with features from LD, Monkey, K-Trap, Lowkey, Kojo Funds, Unknown T and DigDat. In addition, tickets for their joint Headline Show on the 3 April at London’s O2 Islington Academy are available today. Check out the visuals above, and let us know your thoughts on our socials.